HPI Racing set of 5 silicone O-rings P-3 red. This is a Package of Red P-3 silicone O-pings for hobby use. These are used in shocks, absorbing vibration, and many other uses. 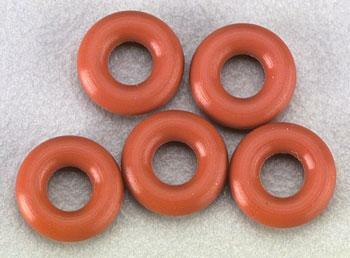 HPI set of 5 silicone O-rings are constructed of silicone. These o-rings are not limited to use only in HPI vehicles. Traxxas .8 Mod (32 Pitch), 52 Tooth Spur Gear.